Cat Bradley set a new course record at the Rio Del Lago 100. Here’s how. That quote is from Cat Bradley’s first email to me to talk about coaching. It was August and she had just had a tough race at the Headlands 50K. She was ready for something new. What were her goals? Well, I thought, that pain tolerance would definitely come in handy. As would her background as a tough mountain adventurer who has thru-hiked the Appalachian Trail and a speedster who’s done well in 800-meter track races. So we went back to the drawing board and re-thought everything about training, racing and mindset. And the day when she’d win a 100—reaching her long-term goal—came quicker than she anticipated. 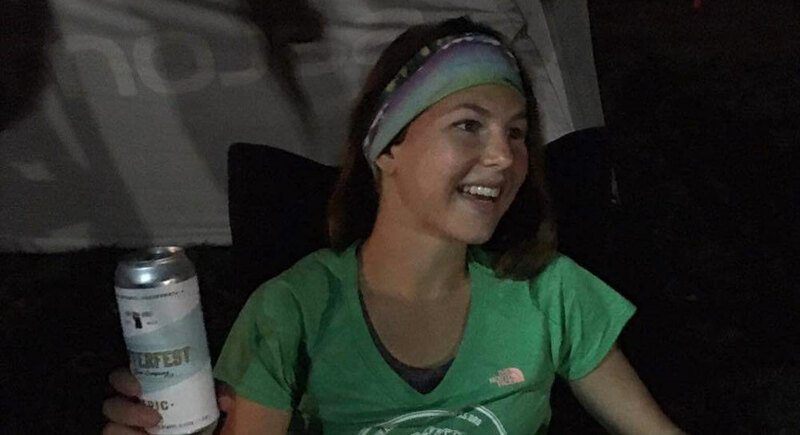 At the Rio Del Lago 100 Miler in California on November 5, Cat set a 10-minute course record, winning by nearly 90 minutes. In the process, Cat, who is 24 and lives in Boulder, Colorado, may have established herself as the world’s strongest kindergarten teacher. How did she do it? Here are four takeaways from Cat’s build-up and race that you can apply to your trail racing at any distance. Downhills are like muffled flatulence after a massive burrito—silent but deadly. It’s easy to assume downhills are the easy part of races, but that’s only true if your muscles are prepared to move quickly and efficiently without having the eccentric contractions cause breakdown. 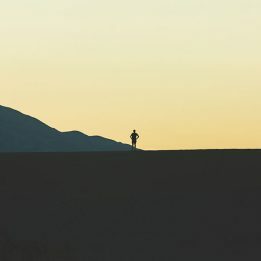 On top of that, if you are ready for them, downhills can be “free” speed, allowing a trail racer to run fast and make up time without having heart-rate spikes that could diminish performance later on. 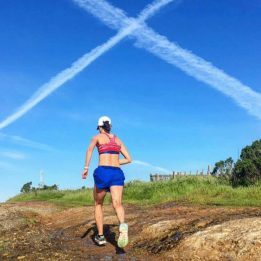 On Saturday and Sunday every week, Cat did back-to-back runs where she was instructed to “run the downhills with purpose.” In general, these weekends totaled 30 to 40 miles over the two days, with lots of purposeful downhill running. Cat called on this resilience and free speed on race day, pulling ahead of the course record in the final 30 miles. Takeaway: No matter what distance you are racing, be prepared for the downhills. All of my athletes focus on running downhills at a smooth, moderate effort during their weekend runs. Slow training begets slow racing. By working your rear through the gears during training, you can get faster at every effort level. So our first goal was to get her more gears. Three days a week, Cat did short, fast strides between 20 and 30 seconds, working to shorten rest between them over the course of the training cycle. Then, every Wednesday, she did a short, focused workout designed to improve her VO2 max and lactate threshold. We started with one-minute intervals, and worked that up to three-minute intervals. Putting this all together improved her running economy. By the time Rio Del Lago came along, she was running the same speed at a much lower heart rate. As a result, her “solid 100 mile pace” got much faster as well. Takeaway: Throughout the season, incorporate strides into your training. Once you have an aerobic base built and your running economy is good, add short intervals. Counterintuitively, getting faster on the flats makes you stronger in the mountains. Trail racing is designed to put you out of your comfort zone. If you want a clean, predictable experience, stick to the roads. The best way to train for the unpredictable nature of trail racing is to have unpredictable training adventures. Cat already had this element perfected—she is an adventurer at heart who loves nothing more than playing in the mountains with her boyfriend Ryan. So in the build-up, we incorporated those long mountain days with Ryan into her structured training. Cat would sometimes do 20 miles cavorting over rocks and frolicking through streams, adapting her body to the unique and unquantifiable stresses that might arise on race day. Takeaway: There is always a time and place for long days in the mountains. Even though you might be doing more structured training, spend a couple days a month having unstructured adventures on your favorite trails. 4. Smile through the stuff. “Prepare yourself now for everything to go wrong. Because it will. 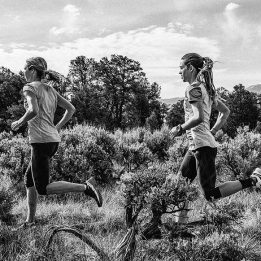 Trail races are an exercise in dealing with [stuff], rather than avoiding [stuff] altogether. “Right now, promise me when [stuff] hits the fan, you will laugh. Our mantra: relentless forward progress, relentlessly positive outlook.